New Product Alert delivers short, easily digestible summaries of the latest products and technologies impacting core areas of biotechnology. 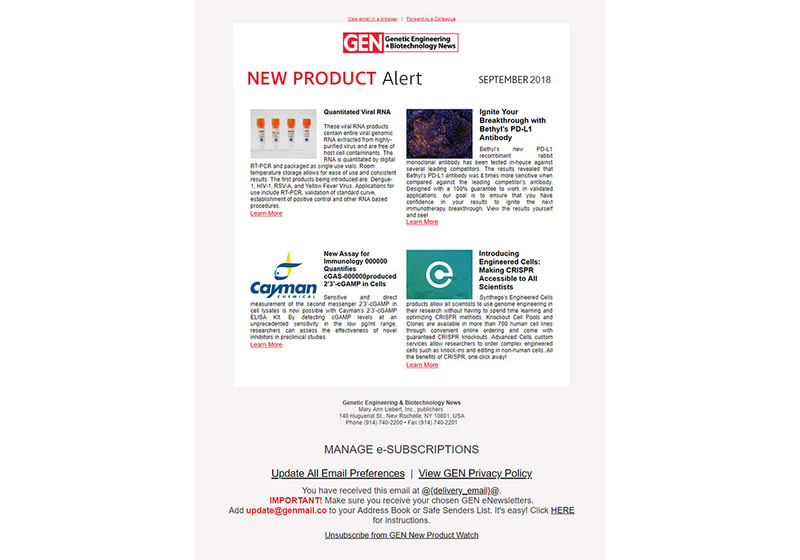 Distributed to an engaged email subscriber base of more than 30,000 readers, New Product Alert listings are developed in concert with you to feature an exciting, informative product summary alongside an image and link directly to your website. Ask about pre-conference show promotions! List your exhibit booth number and link to your product or event landing page.